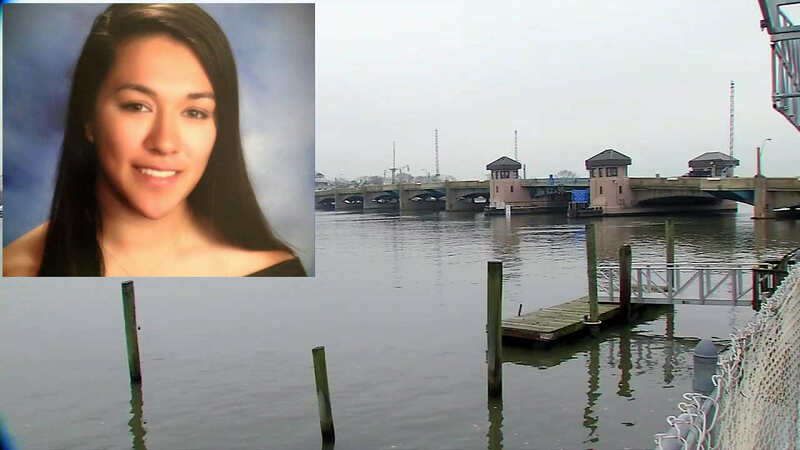 BELMAR, New Jersey (WABC) -- State police continue to search for the body of a 19-year-old New Jersey woman who authorities say was strangled during a robbery late last year. The search for Sarah Stern remains focused on the Shark River inlet near the ocean, but crews haven't fanned out beyond that area. Two of Stern's lifelong friends, including one who was her prom date, are now charged in her death. Liam McAtasney was charged Thursday with Stern's murder, while Preston Taylor is charged with helping dump the body. Stern was last seen at her home on the night of December 2. Hours later, her unoccupied vehicle was found on the Route 35 Bridge in Belmar over the Shark River Inlet with the keys still in the ignition. It is believed the pair dumped the body off the bridge, and the search of the inlet resumed after the arrests. "It is possible due to oceanic currents and tides that her remains might have been swept out of the river into the Atlantic," Prosecutor Christopher Gramiccioni said. "But we are hoping for a miracle." Anyone with further information that may assist authorities is asked to contact Detective Brian Weisbrot from the Monmouth County Prosecutors Office at (800) 533-7443, Detective Michael Vollbrecht of the Neptune City Police Department at (732) 775-1615, or Detective John Mahoney from the Belmar Police Department at (732) 681-1700.